We have recently submitted this planning application on a prominent site in Marylebone for client Westminster City Council. 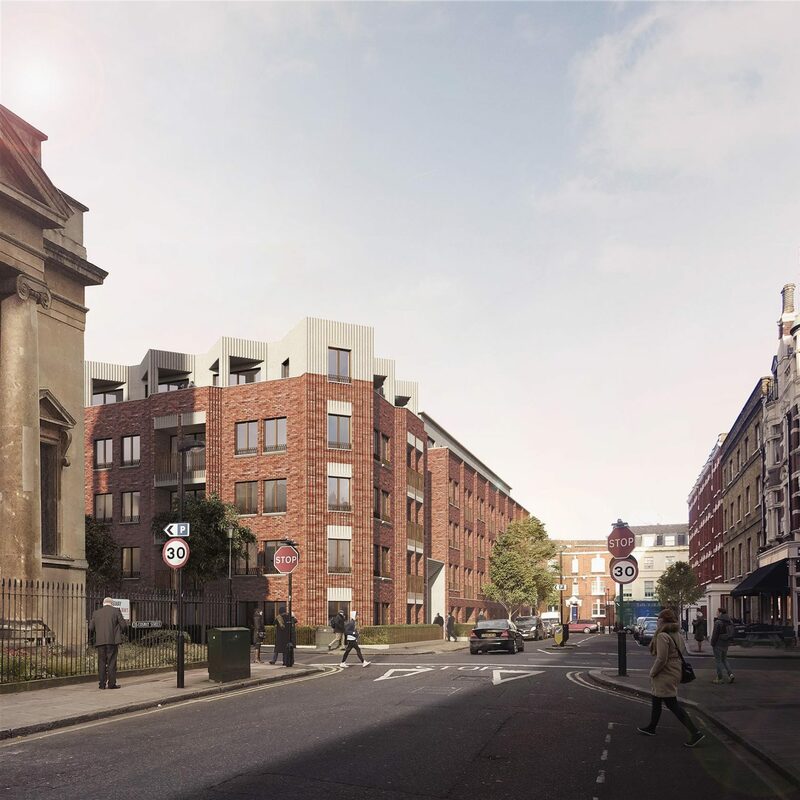 It provides 49 new homes which have been sensitively designed in relation to the context of the Grade II listed Christ Church opposite, and elaborate 19th century brick buildings on the two adjacent street corners. The proposed building comprises richly articulated brickwork elevations with finely detailed metalwork balustrades, and contains a range of apartments types with spacious, open plan layouts.